A spooky ghost face appears to float in the dark as it lights your way on dark, spooky nights. 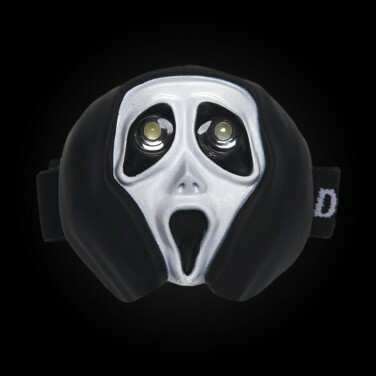 Two bright white LEDs shine from a spooky ghost face lighting your way on dark, spooky nights. 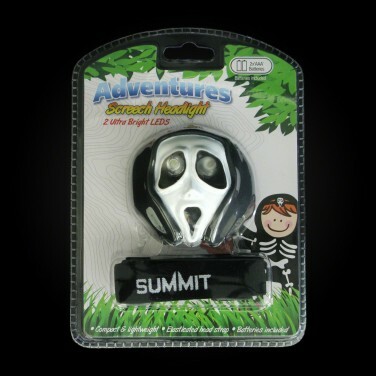 With an elasticated head strap for comfort, this handy head torch slips onto your childs head to guide their way in the dark. Whether they're trick or treating or on night time adventures, this bright LED torch has a simple on/off function and gives enough light to illuminate their way and give increased visibility at night. Shine the Bat signal into the darkness and you might just get a visit from the Caped Crusader himself! Your child's favourite characters contain a single LED and fit on keys and bags for emergency light.